As August came to a close, I was enjoying a 12.40% net annualized return with Lending Club. Throughout the month, I focused on expanding my holdings beyond my original â€œHigh Riskâ€ and â€œLow Riskâ€ test portfolios. 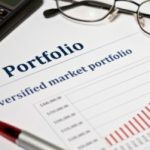 In addition to those two portfolios, each of which has 20 loans, I’ve created an “Ongoing” portfolio with an additional 79 loans. That brings me up to 119 loans total. In terms of loan performance, the one “High Risk” loan that had gone bad during July is still late. In fact, that borrower hasn’t made a single payment since the loan was issued, and Lending Club has now engaged the services of a collection agency. 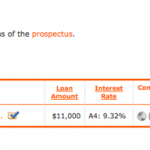 While I’d love to be proven wrong, I’m assuming that loan will end up being a total loss. Actually, Matt’s not the only one who’s holding up his end of the bargain, as 118 of my 119 loans are being paid on time. While I’m anticipating the possibility of a few more hiccups down the line, I’m certainly pleased with how things are going thus far. I’m living in one of the states that are not listed as allowed to lend…yet I have been investing in notes with no issues as of yet. I’m not sure what the big deal is. I’ve been investing $25 every payday (every two weeks). I’m still a new lender and have only recently started investing in the last month. 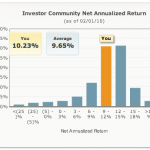 No net annualized return yet, but I’ll keep you updated. Probably best to just write off the bad loan. There are a lot of deadbeats out there, and you’re bound to encounter one with your program. Let us know how it goes, and whether they employ men with baseball bats to collect! It’s impressive how well TLC has held up in the current climate. I think the next 18 months will be interesting to watch. I just started using LC and so far I like it. I’ll probably never have as large a portfolio as you have, just don’t have the money for that but adding another $25 every month or two will add up fast. I’m (mostly) financially responsible, and I’d like to try a small amount of money with LendingClub. I understand that a bunch of states’ citizens are not allowed to participate, and I live in one of those states. My question: can I be a lender on LC anyway? I mean, I’m just loaning money to a few hundred of my closest friends right? Whose laws would I be breaking? Does LC actually enforce the state restrictions, or should I use my parents address to get around it (they live in an allowed state). I absolutely understand the risks of LC — the amount invested would be no more than 2-5% of my total investments. Congrats on the great return Nickel. It looks like Lending Club has been a very positive experience from both the lender side and the borrower point-of-view as I too am very happy with my LC borrowing experience thus far.